If your kids love to colour, you’re guaranteed to end up with a growing collection of broken crayons. The question is then what to do with them aside from throw them out? Luckily, there are tonnes of ways that you can repurpose old crayons and turn them into completely new creations. 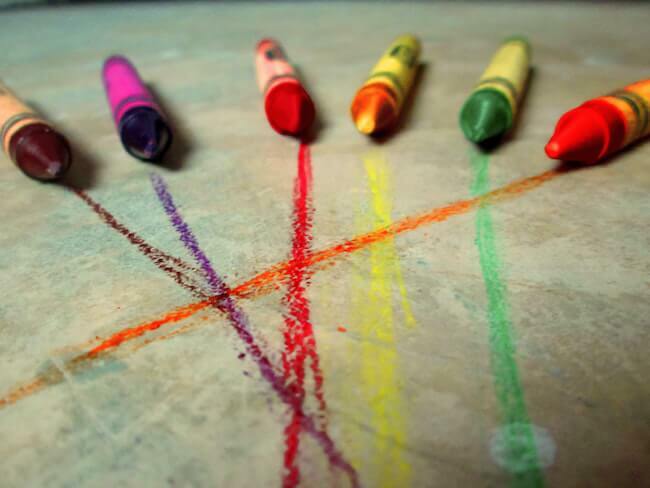 Here’s a list of 5 original ways to use broken crayons, none of which require advanced skills or a lot of expensive equipment. Muffin tin crayons are formed by melting broken crayons in muffin tins. Once they cool, you can pry them out for a new, differently shaped crayon. You could mix several broken crayons of the same colour to create a new, novel one. Or create rainbow crayons for a unique look while drawing on paper. And if you just leave the wax in the tin and add a wick, you have colourful candles. You can even use glass jars instead of muffin tins to make decorative candles. Sites like Raaaft offer a wide selection of art supplies applicable to this or similar projects. a solid backing at the bottom. Pour in the crayon mixture, let it cool, then slide off the mould. Wax paper shapes are created by melting crayon shavings between two sheets of wax paper using a warm iron. Let it all dry and cool. Outline a shape on the wax paper, and then cut it out. Then peel off the wax paper. You get rather unique looking art made with the broken pieces of crayon or intentionally shaved off pieces from the broken stubs. These make great sun-catchers. Break up the crayons into tiny bits and mix in any shavings or debris from the bottom of the box. Create a picture on a sheet of drawing paper. Pour on the tiny pieces of crayon onto it. Cover the entire thing with a sheet of paper. Apply a slight pressure with a warm iron. You can end up with a stained-glass effect. Wax has long been used to seal envelopes. You can use melted crayons for this purpose. Melt down the crayons in a foil filled cup. Drip the melted crayon as either one large drop or drip it in a pattern. You can apply a metal stamp to leave an imprint, or you can scratch in your initials. See your broken crayons as a resource to be utilised in any number of ways. 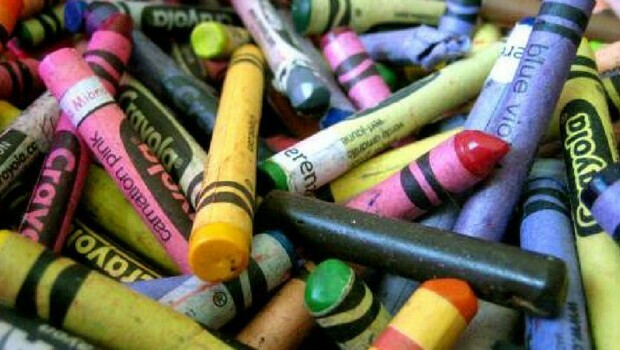 Whether you recycle them into new crayons or arts and crafts depends on you.